Abdul Jamal from Bhilai, Diploma Graduate. Working for : Consolidated Contractors Company WLL. Currently working as Refractory Insulation Supervisor QC Inspector at Consolidated Contractors Company WLL. are one of expert skill area's of Abdul Jamal . 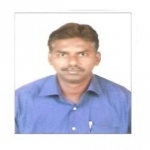 Abdul Jamal is working in Engineering Project Mgmt./Site Engg./Civil Engg./Construction industry.